Avast ye land lubbers, it's time for all hands hoay and let's have some fun! 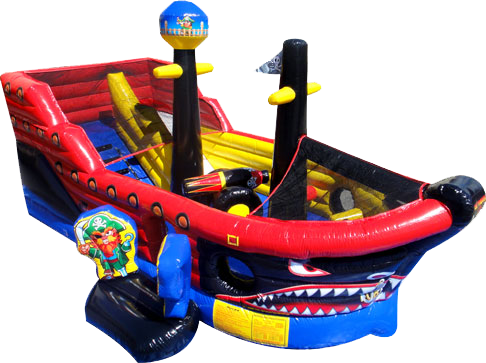 This Lil' Pirates Fun Ship is great for toddlers thru age 7 years and has lots of bouncing area, a large climber and slide, an inflatable cannon and lots of fun obstacles and activities to kee the kiddos busy and having fun for hours! This amazing toddler bounce house guarantees hours of entertainment for any toddler, and offers low sides for easy viewing of all the fun. Made of lite n strong™ and fire-resistant vinyl, this inflatable is perfect for any backyard birthday party or community event. 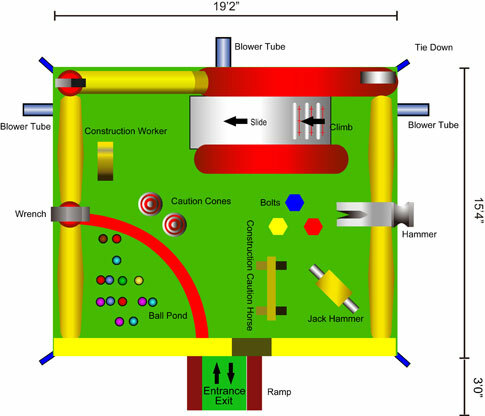 CAPACITY: Can accommodate 8-12 participants at one time. An adult MUST be present at ALL TIMES while unit is in use.